This week’s Table Talk will hopefully inspire you to attend a hands-on curing class, learn about SF’s post-Quake restaurant history, help you score a free scoop of PB&J ice cream from Humphry Slocombe, and clue you in on where double cheeseburger lovers will want to head immediately for their next burger chow down session. Learn How to Make Bacon, Cure Salmon, and More! Are you curious about curing meat and fish? Want to try making pickles, or expand your repertoire into things like pickled eggs? Did you know you can make tofu jerky? 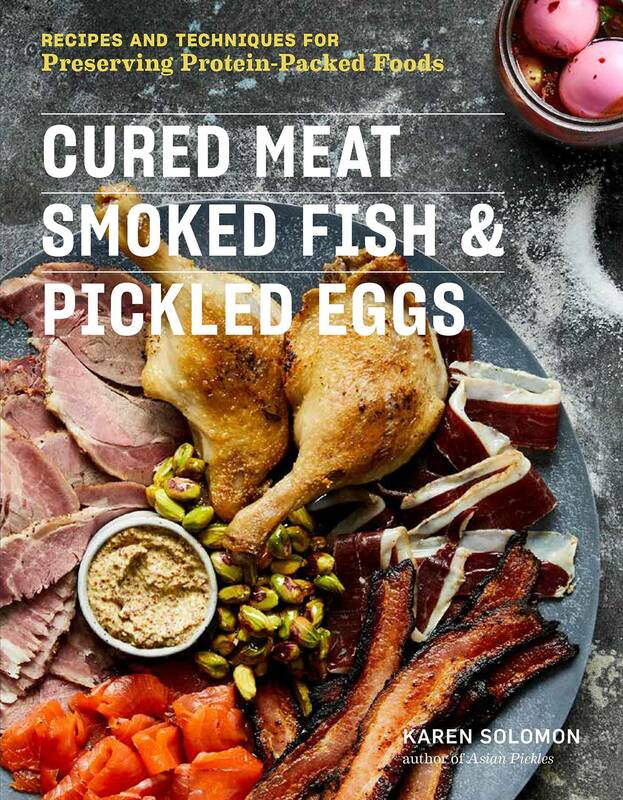 Karen Solomon, author of Asian Pickles and Jam It, Pickle It, Cure It, has a new book: Cured Meat, Smoked Fish & Pickled Eggs, and it will have you inspired to make pickled herring, duck breast prosciutto, preserved herbed feta, and rousong (pork floss) in no time. To coincide with the book launch, she’s teaching a number of classes around the Bay Area, starting with a hands-on class on meat and fish curing with FarmCurious in Berkeley on September 23. You’ll learn to make beef jerky, smoky homemade bacon (without special equipment! ), and bagel-ready cured salmon. And best of all, you get to bring it home. Yes, you are bringing home the bacon. Free ice cream AND candy? Pinch yourself, it’s true: on Saturday, September 15, Humphry Slocombe (at their San Francisco Ferry Building Marketplace shop) will be offering free scoops of their new flavor with Oakland-based OCHO Candy: OCHO PB&J. 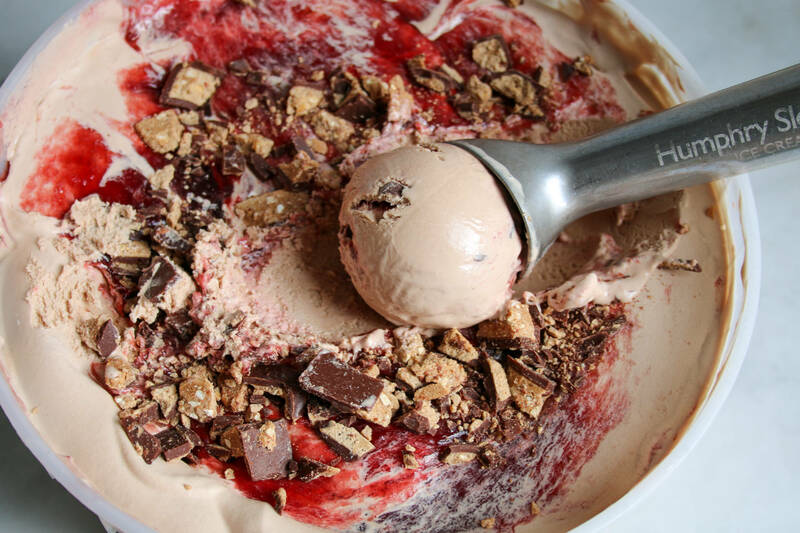 The limited-edition flavor features chunks of OCHO’s organic peanut butter candy bars and gooey ribbons of organic raspberry jam mixed into Humphry Slocombe’s milk chocolate ice cream. It’s peanut butter jelly time! You’ll also get to try a mini OCHO candy bar (while supplies last). Not going to make it to the scooping event? The new flavor will be available at all Humphry Slocombe Bay Area scoop shop locations (Mission, Ferry Building, Oakland) throughout September. San Francisco restaurant and history buffs won’t want to miss this special night when author Denise Clifton reads from her recent book, Tables From The Rubble: How the Restaurants That Arose After the Great Quake of 1906 Still Feed San Francisco Today, which transports readers to San Francisco in the years after the Great Earthquake of 1906. Amid the ruins, restaurants rose to feed the hungry and there are a handful that remain today, like Fior d’Italia, the Garden Court at the Palace Hotel, and Sam Wo. 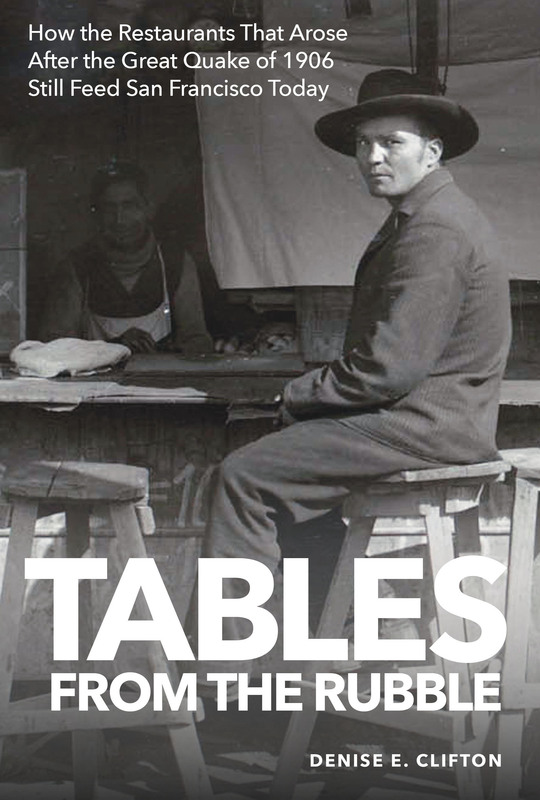 During the lecture, Clifton will share stories and historic photos from legacy restaurants. Book signing and optional fixed-price dinner will follow. In partnership with 640 Heritage Preservation Foundation. 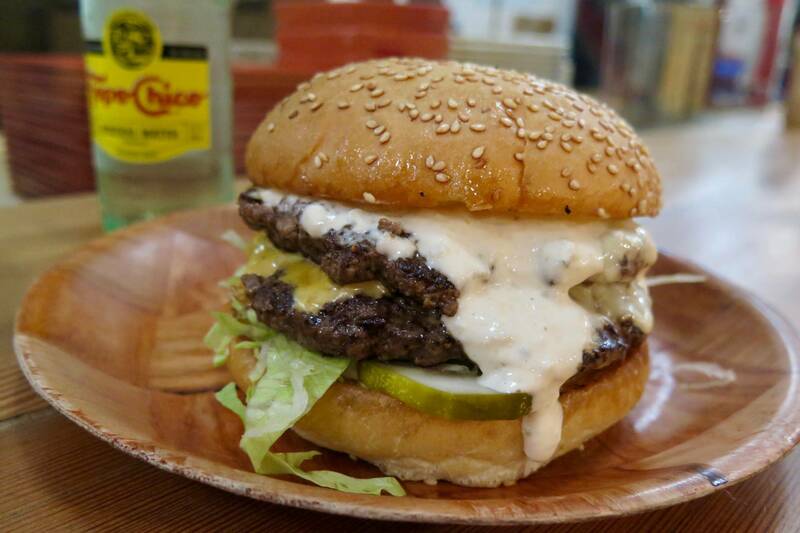 Sometimes, you just want to sink your choppers into a double cheeseburger, and when that craving strikes, Adam Mesnick at The Board in SoMa is ready for you. He’s known for his beastmode sandwiches at nearby DeliBoard, and this is his latest outpost on Mission, which originally opened with wicked East Coast-style breakfast sandwiches and bagels. This summer, he pivoted the business to evening hours (Wed–Fri 6pm–9pm), and is renting out the space for private events and pop-ups. With the new evening hours comes a new, rotating menu, and the star of the show is his double cheeseburger, topped with white and yellow American cheese (no shame here! ), shredduce (shredded lettuce), BB (Board Burger) sauce (it’s a creamier and almost ranch-y version of a Thousand Island dressing, with extra pickle juice and less ketchup to boost the acidity), and thickly cut pickles that they slice fresh, which also helps cut through the overall richness (these are full dills from Chicago). 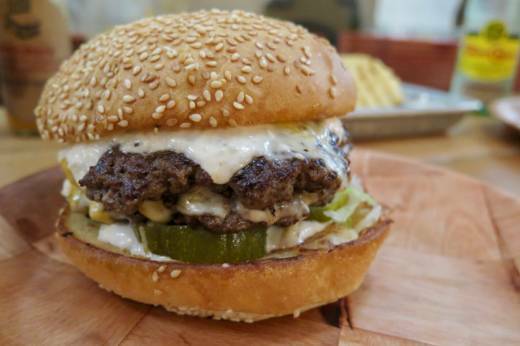 Mesnick is using Golden Gate Meat Company’s burger blend, which gets a nice sear on the edges of the patties (they have a kind of craggy edge instead of being perfectly formed, which yields different and pleasing textures as you eat your way through the burger). The Panorama bun (you can choose sesame or plain) holds up until the very end, which isn’t an easy feat considering the heft of this artfully and thoughtfully constructed burger. You’ll want to grab a few napkins. The burger is more than enough, but if you’re in a “take no prisoners” mode, there are waffle fries ($8), which come with BB sauce, but who can say no to Cheez Whiz ($2)? Extra good with waffle fries. 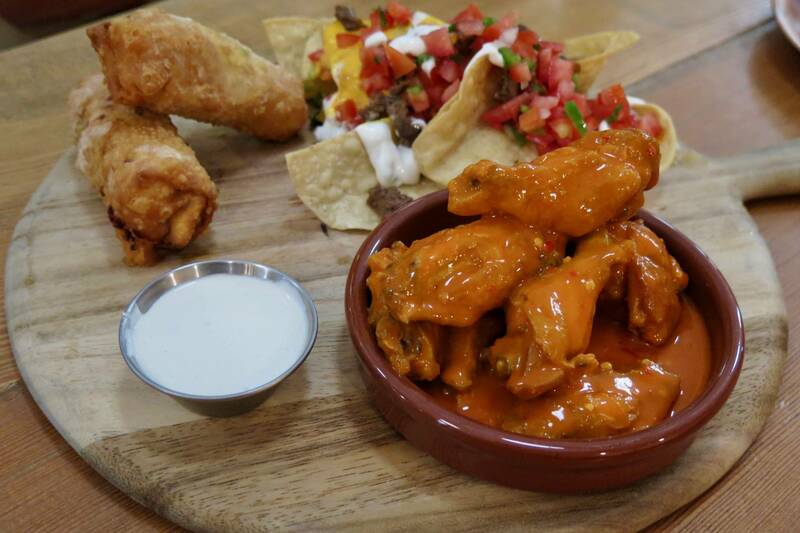 One night, you may have the option to graze on some nachos ($12) with carne asada or spicy Thai buffalo wings ($12) with bleu cheese. Let’s just say if you’ve paid a visit to any nearby bars or dispensaries, here’s your next stop. Mesnick is always innovating and coming up with evil snacks, and the one that’s going to haunt me and my dining wingman is the Board Rolls (three for $12). You ready? It’s basically an egg roll filled with pepperoni (legit pepperoni from the East Coast, yo! ), marinara sauce, and, of course, gooey cheese, and then it’s fried up. I was calling it a New York Hot Pocket, a brother from another mother to a Totino’s pizza roll. I didn’t even put it down to take a picture, it was that good. So wrong, and yet so right. Follow along at @theboardfrisco to keep up with all the latest culinary shenanigans happening over there.